So, you've been thinking about biting the gun and becoming an AT&T customer? Good thinking, but which plan to choose? Clearly, the abundance of options in AT&T's roster don't make the choice any easy, but we are here to help. A couple of weeks ago, we walked you through all the different plans in Verizon's lobby, but now it's time to subject AT&T to the same treatment. Here's a rundown of the pricing of the different lines, and after that we'd rundown other notable features of the plan. Note that the prices below have AutoPay and Paperless billing discounts applied to them. * - Prices after discount with AutoPay and Paperless billing. It's obvious that the more, the merrier. With prices out of the way, let's see what the two unlimited data plans offer as far as data allotments, features, and speeds are concerned. Free HBO for life: Both plans give you HBO for life. That's undoubtedly a boon for all fans of A+ TV shows from the likes of Game of Thrones, Westworld, The Wire and many others as HBO has one of the most loaded-out subscription services out there. Have in mind that the actual promotion will start within 2 monthly billing cycles. Of course, if you drop your Unlimited Choice or Plus plan, you automatically forfeit the HBO benefit. 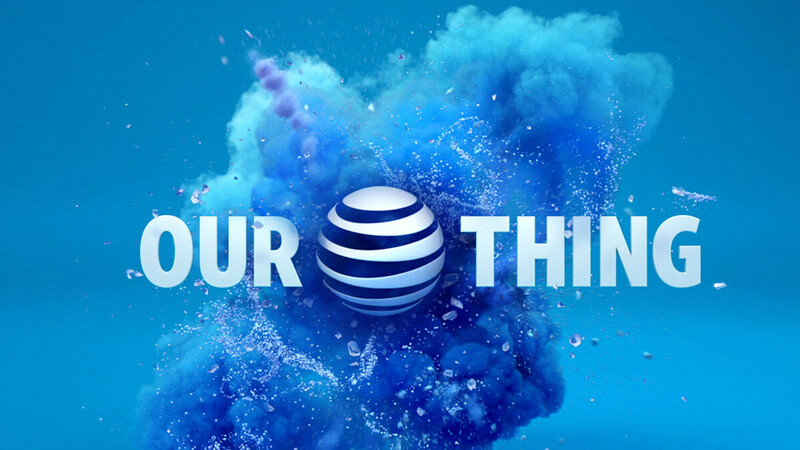 AT&T THANKS: AT&T's benefit program allows you to get insider access to special events, various forms of entertainment like movies and music, as well as get expert help, and many others at no extra cost. The majority of these benefits can be explored and used from the dedicated AT&T THANKS app on the app stores. Military discounts: If you're qualified military personnel or a veteran you get 15% discount at every monthly bill. Our verdict: If you want the absolute best unlimited plan on AT&T, you should certainly go for Unlimited Plus Enhanced. It has the most bells and whistles and you shouldn't worry about throttling that much. Well, at least until you don't go over 22GB of LTE data per line per month as you're likely to experience temporary throttling at busier times. Additionally, the 15GB mobile hotspot allotments is well worth it, especially if you use your device to cast Internet in your immediate vicinity. Conversely, if you're perfectly fine with a bit more throttling in busier time windows and don't use your device as a mobile hotspot, you will also be fine with AT&T Unlimited Choice Enhanced. If you're looking for something else than an unlimited data plan, AT&T's prepaid ones are here to help. But which one to choose - the eponymous AT&T Prepaid plans or the Mobile Share Flex ones? Let's highlight all the features and intricate differences and help you make up your mind. No matter which plan you choose, we highly recommend enrolling into the AutoPay program, which will automatically charge your eligible credit or debit card every billing period. With AutoPay, you eliminate the possibility of having your service terminated after not paying on time. That's a great thing to have on its own, but the discount on the prepaid plans is another boon to consumers' wallets. Our verdict: From the get-go, we wouldn't recommend the $65/mo plan as it's pretty hampered when compared to the others. Sure, it comes with unlimited data in tow, but we don't like the lack of mobile tethering functionality as well as its inability to stream 1080p video. Albeit pricier, the top unlimited data plan is definitely better value on all fronts. When it comes to the 'cheaplings', it all comes to whether you can live with as low as a gigabyte of fast-speed data per month and whether you travel to Mexico and Canada often - if no, you should probably go for the $40/mo plan, but if you are okay with less data and no free-of-charge roaming allotment.